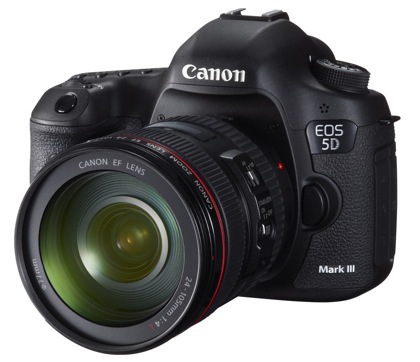 The new camera’s predecessor, Canon EOS 5D Mark II, has been a remarkable camera. Launched in 2008, it’s since revolutionized the video industry by kickstarting the HD and enthusiast video market. It’s probably been used to make more skate and snowboarding videos and House MD episodes than any other DSLR Camera. OF course it was and still is also a very high image quality still camera. But it also had few flaws. For example the autofocus system was just copied from ages old 5D (MK1). And even though it had Full HD video, Canon engineers never really asked any video people what features they needed, really. For example being able to set the sound input level, or listen to the sound yourself while filming was simply not given as an option. But people hacked around many of these issues with external hardware and even custom camera software. In this video you’ll hear Philip Bloom explaining all the benefits and problems with DSRL video and how it all started. It’s 4 years since 2008, and the industry has been waiting for the 5 MK III to arrive and catch up with latest Nikons, like D800, that was just wiping the floor with MK II. So finally it’s here and MK III’s features seems quite boring initially. It’s finally got the autofocus system and frame rate that it should have had already in MK2. Both of which have since already been available in 7D and 1D X. The original sound issues have been fixed and many other small things. But when comparing Canon 5D MK III to Nikon D800, its biggest current rival, it’s evident the features are really neck-and-neck. Except the main thing — uncompressed video output. Nikon has that via HDMI, but Canon doesn’t! How did Canon let this slip past? Well, probably because MKIII was so long in the pipeline already when Nikon released D4 and D800 just literally weeks ago with HDMI video output. Dang, Canon should have seen this coming. They are the leader in this new video industry, for now, and one of the main remaining complaints is the in-camare compressed video quality. You can skip that by storing the uncompressed signal from Nikon to a hard disk and compressing it much later on a computer, but on Canon you’re still stuck with the in-camera compression. Although it’s level is/might be adjustable, but it’s still not same as uncompressed.